Saurabh Kochhar is the Co-founder and CEO of foodpanda, India’s leading online food ordering and delivery platform. With menus from 15000+ restaurants across 150+ cities in India available on its cutting edge app & website, foodpanda is leading people to discover and order great food every day. Born and brought up in Delhi, Saurabh earned his Bachelor’s degree in Technology from IIT-Roorkee and then completed his MBA from IIM-Calcutta. His 4 years of working experience with big corporates like McKinsey & Co and Oracle India, helped him garner sound professional grounding and business acumen, which equipped him to finally embark on his own entrepreneurial journey. Subsequently, Saurabh co-founded Printvenue.com after which he co-founded foodpanda India which has been a major milestone professionally. Saurabh enjoys travelling and spending time with family. He is also an avid reader and likes to keep himself updated with what is happening in the businesses. Apart from this, he likes watching movies and playing cricket. In an exclusive interaction with The Motiverge; Saurabh Kochhar, Co-founder and CEO of foodpanda India tells more about the venture and future plans. TM: Tell us more about foodpanda. When was it established? Saurabh: foodpanda is India’s most convenient online food ordering site. It connects people with the best of the restaurants around them. Launched in 2012, foodpanda has evolved as a company focusing on not just restaurant listing and delivery but also technological advancements to uplift the food tech industry as a whole. Since then it has been an incredible journey for me seeing the brand become a strong player in the food tech industry moving towards changing the way India orders food. We have turned operationally profitable, honed the technology with a recently launched revamp of the India app, achieved 100 percent automation and reinvigorated the brand basis what our users want. The journey ahead looks very interesting, with a strong focus towards technology, delivery ecosystem and the quality of the food that is being delivered to users. Keeping technology as the backbone and putting relentless focus on operations, foodpanda has achieved excellent two-way optimization of its resources. We are able to deliver orders under express delivery of 45 minutes. With Dash delivery, we plan to extend the benefit to our restaurant partners thereby strengthening the delivery ecosystem across the nation. Saurabh: The instinct to solve a problem is key to entrepreneurship. My journey towards starting something of my own was a pushed because of many reasons. My exposure at IIT and IIM and then working for McKinsey and Oracle all moulded my endeavours to enter the big bad world of entrepreneurship. With that thought, I started Printvenue and then came foodpanda. Saurabh: We are a team of around 3000 members in India including all functions. TM: What makes foodpanda India a one-stop online food delivery platform for foodies? How does it work? Saurabh: The users are able to explore their favourite dishes from 15000+ restaurants listed on the service. They are not only able to explore but also order food which completes the circle for any user. foodpanda as a platform is able to retain the users’ preferences and also recommend new items to them through the new revamped app. It is taking the need of the hour into active consideration- personalisation. Through an ever evolving delivery ecosystem, the user is able to receive their order within 45 minutes under the express delivery. The app now is able to have several categories under which the favourite dishes can be explored. And if a user does not want to go through the pains of that, they can directly search for a specific dish in the app. All this is backed up strong technology in the backend which is a strong focus for us since the inception of the company. 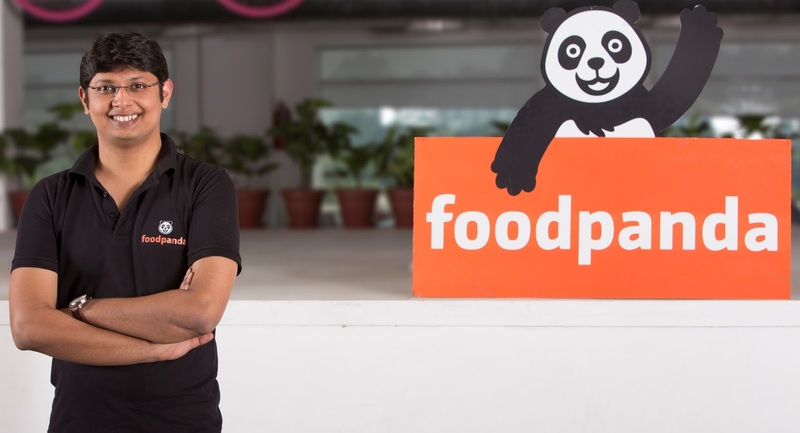 Saurabh: It has been an incredible journey for foodpanda in India since our launch in 2012. We have evolved as a company focusing on not just restaurant listing and delivery but also technological advancements to uplift the food tech industry as a whole. In 2015, we launched our own delivery arm but the real transformation for us came from automating our processes, and thus increasing efficiency in return. With 100% automation in our delivery process, foodpanda now has the lowest failure rate in the industry with 99% of all orders now getting fulfilled on the platform. In our constant push to ensure the best of hygiene standards for our partner restaurants; we launched the Food Doctor Program in 2016. This program aims to educate our partners on the basic and best practices available for maintaining hygiene and quality standards. In June 2017, we extended our impeccable delivery services as third party logistics partner to our restaurant base. This delivery service is called ‘Dash’ which is now live in seven cities across the country- Delhi, Mumbai, Gurgaon, Hyderabad, Mumbai, Pune, and Bengaluru. In order to improve our market positions in key markets, we decided to consolidate and in December 2016, foodpanda was acquired by Delivery Hero, making it one of the largest global food delivery platforms. With a strong backing by Delivery Hero and the funds raised from Naspers, the brand is able to focus on the future endeavours of investing more in technology and delivery ecosystem. We also brought the megastar- Shahrukh Khan on board as the brand ambassador for the brand this year which has led us to garner great brand recall. TM: Who are foodpanda’s major competitors in India? How do you differentiate yourself from other players? Saurabh: I think competition is necessary for the industry to grow. All the players in the space including foodpanda aims at developing the food tech space so that the consumers can benefit in the end. We have always tried to differentiate ourselves by aiming at improvising on the technological front and ensuring a seamless experience to all our customers. It is through steps like right sizing the team, bring in almost a 100 percent automation, strengthening delivery services and introducing and revamping the app for India, we aim to set apart our services and create a long term association with the users. We are one of of the only companies in the food tech space which is working on elevating the standards of food hygeine and general quality. Through the Food Doctor Program, we are educating and auditing the restaurants that are listed on our platform so that the end product is of a certain quality for the end user. We recently collaborated with Yash papers to offer an eco-friendly compostable packaging line- Chuk produced from sugarcane waste to our partner restaurants. This elevates the levels at which food delivery ecosystem is operating at, today and creates accessibility to safe, biodegradable, environment friendly packaging. Saurabh : Food ordering industry is still at a nascent stage in India. Food industry is estimated at 300 billion out of which food services are stationed at 50 billion as the market size in India. It is expected to grow at about 30-35% in the coming years, and hence there is immense opportunity for every player to grow and build the market together. One of the biggest challenges is to bring a shift in the mindset of people. A majority of the orders are still placed offline and it is important to attract consumers to use the digital platforms. This is a huge potential opportunity to tap into for online food delivery businesses. We, at foodpanda, have been focusing on curating services and bringing in innovative consumer engagement campaigns, to ensure that people switch their preference to online food delivery services. Another opportunity lurking in the future is that deliveries will not only be restricted to restaurant’s proximity but will expand beyond its immediate location. There is a scope for restaurants to deliver food to areas beyond their existential reach. Third will be the integration of technology in the food sector to create personalized promotions. Technology and innovation is going to play a key role in the growth of the sector and as the on-demand marketplace grows, food delivery businesses will need to quickly capitalize all the data that they have on various demand patterns, food preparation time, delivery routes and more – to optimize their services and gain a competitive advantage. Saurabh: Ever changing market, lack of infrastructural support and the nascency of the market that we operate in are some of the few challenges that remain since the time we started operations in India. Saurabh : Yes, we have raised funds from various esteemed investors such as Rocket Internet AG, Falcon Edge Capital, Jade Gmbh & Co, Goldman Sachs and Naspers. We have been utilizing these funds in enhancing our technology, infrastructure, delivery and marketing activities. The future plans are to establish a robust delivery ecosystem in the country and equally strong backend and frontend technology to support the business model. It is important for us that the customers have a seamless food ordering and discovery experience which is fine tuned further basis the feedback we get. Saurabh : The vision that we started foodpanda in India is the driving force that has led me to this point. We want to change the way India orders and we are inching towards that goal one step at a time steadily. Setting milestones and then achieving them is a catalyst for both- me and my team. Saurabh: Entrepreneurship is all about passion and vigor to bring something new onto the table. But it is also very important to marry your passion with reality. Hence, my message for all the budding entrepreneurs will be that – ‘It’s important to find the perfect balance between passion and reason’. Once you find that perfect blend, there will be no roadblock to your success.